Not currently, but there's a mod called "More Default Options" which allows copying over any file, including the journeymap config. On 1.10.2 I just had an issue where the default keybindings I set on my test/setup area did not translate to the pack I released onto technic. Would you mind adding in an option to regenerate settings from default keys/default options via an in-game cmd? My default server, configs, and options did generate correctly. The mod sets new default values for the keybindings, so instead of a command you can just go into the Controls menu and click the "Reset to Default" button there. Thanks for the reply! I'll try to test this out. Anyone aware of a way of setting default difficulty setting for new worlds created? Trying to create peaceful worlds as default in single player for a pack. 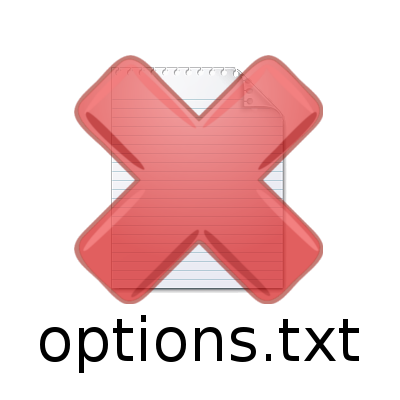 It seems the difficulty setting in options.txt doesn't have any effect. I'll see if I can get that into the 1.11 release; I don't think there's a 'default value' for this at the moment. Any chance of this soon? The 6.1.5 version does not work: config is not restored, even despite using the in-game option to overwrite existing config. Also no information is written to the Minecraft log, except Forge messages related to the mod. EDIT: correction, servers are restored. What config are you trying to have it restore? The overwrite-config thing is only for .cfg files in the defaultoptions folder. I've did an "saveall" before that and copied config/defaultoptions before running a new version of the same modpack (All the Mods). Now I think I've misunderstood the mod's use case (player vs pack dev). This mod is primarily for pack devs, if you want your options synced between packs as a player there's mods like OptionSync. Better to realise this sooner than later .) Thanks for the link. Is it possible or can it be, to allow or rather enforce client side options? So, config files should be put in "MCFolder/defaultoptions" or "MCFolder/config/defaultoptions"? Thank you :). So if I have a config file that I want to be copied to the config folder, that's where I'd put it? Yes - and then you have to make sure not to distribute the same file from the normal config folder, of course. First, I'd like to say that this is a great effort, and makes modpacks much easier to manage. I had an idea though. There used to be a mod called Starter Inventory, which has not been maintained in quite some time, but it basically just made it possible to start a new ssp world with a predefined inventory. I think a simple option along those lines would fit into this mod very well without really breaking the scope of the project, and would probably be extremely useful to the exact same audience that would need this mod. Just a thought. Thank you so much, I'll be adding this to my next Modpack release.